Featured here are handguns, which are very useful as back up airsoft guns or sidearms. Most airsoft handguns are fueled by green gas or propane, and often feature a blowback system very similar to their real steel counterparts. 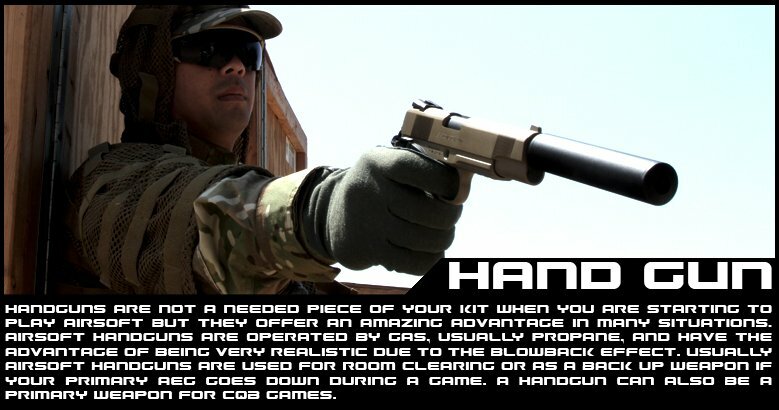 Handguns are especially useful in close quarter battles, where the small size and light weight of the airsoft gun allows the user to quickly acquire multiple targets accurately.